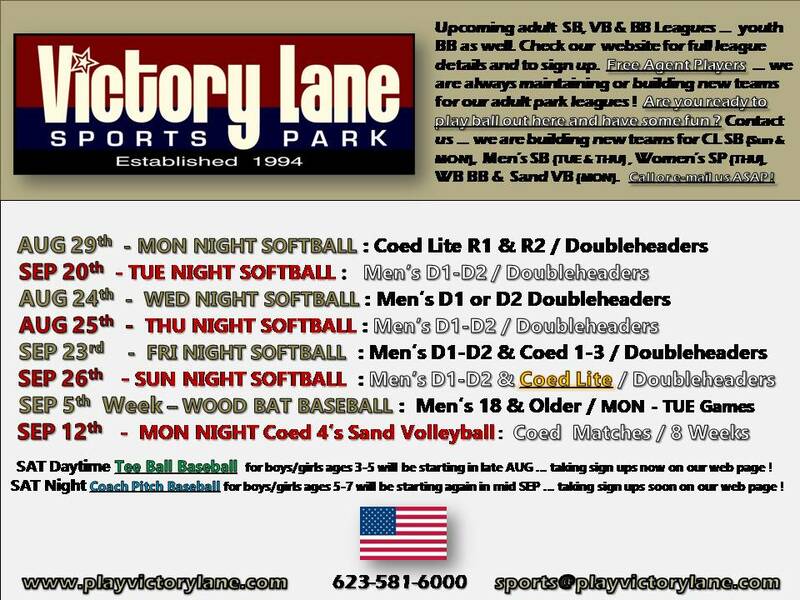 Victory Lane Sports Park is Glendale, Arizona's finest recreational sports facility. 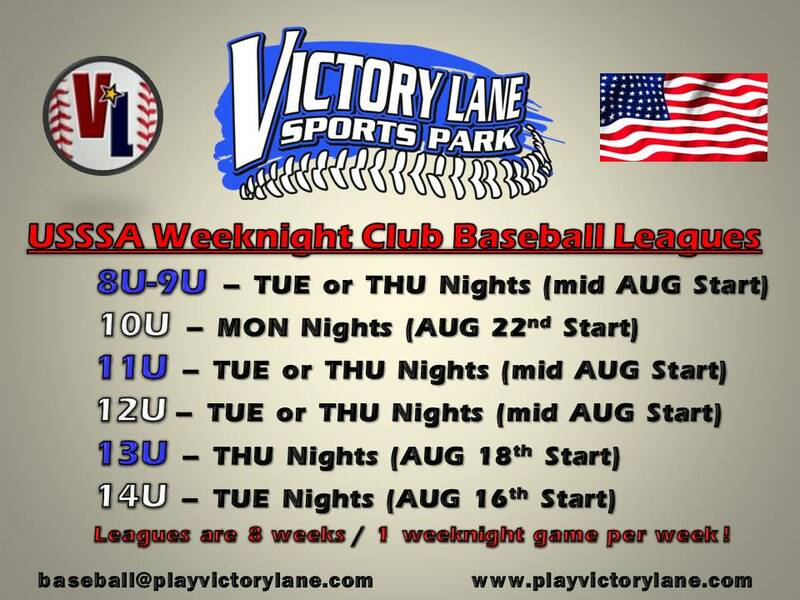 Our park features: 6 Lighted Ballfields, 8 White Sand Volleyball Courts, Adult League Softball and Volleyball, Youth League Baseball, Batting Cages, Children's Playground and the Victory Lane Sports Bar. We host leagues, tournaments, private parties, corporate events and much more. Our staff takes pride in providing a clean, fun and family-friendly atmosphere. 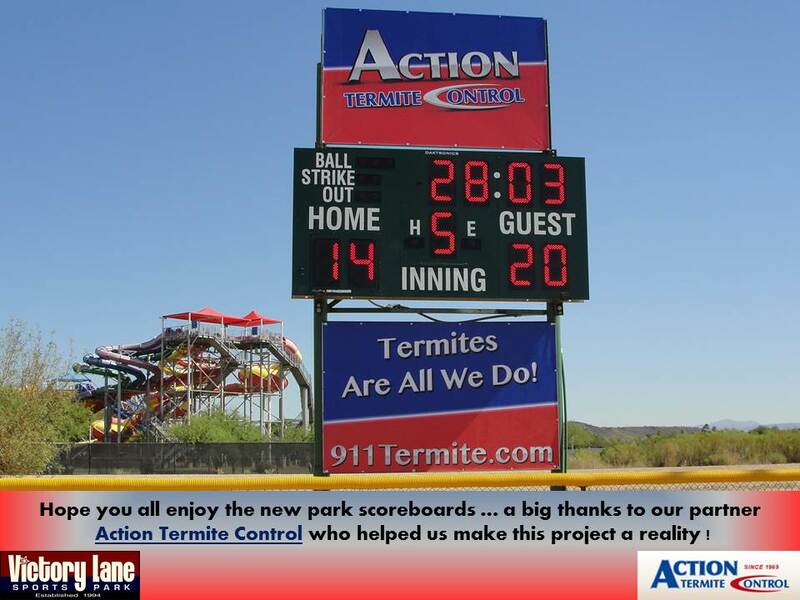 For a closer look at our park, please visit the Facilities section of our website. We look forward to seeing you at Victory Lane. Contact us at 623 581-6000 or by email for more details. 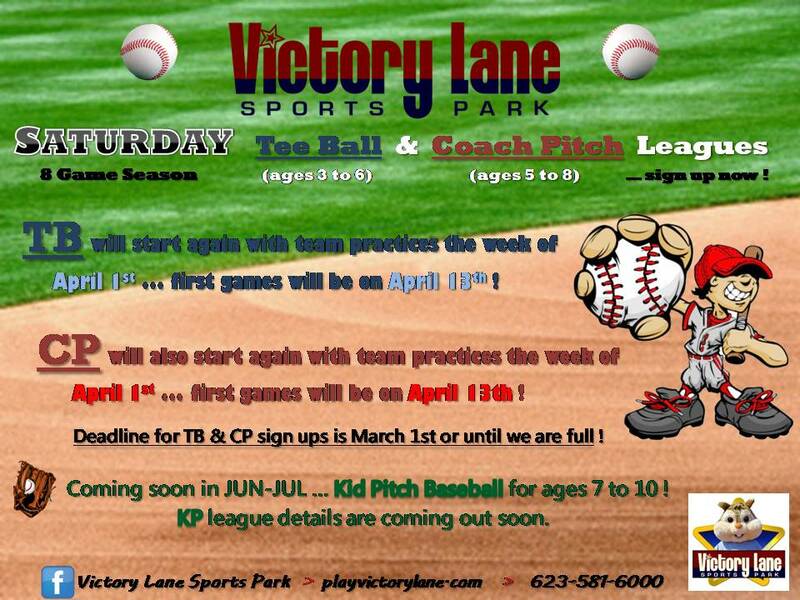 Spring T-Ball registration is full! Click here to pay if you have already registered. 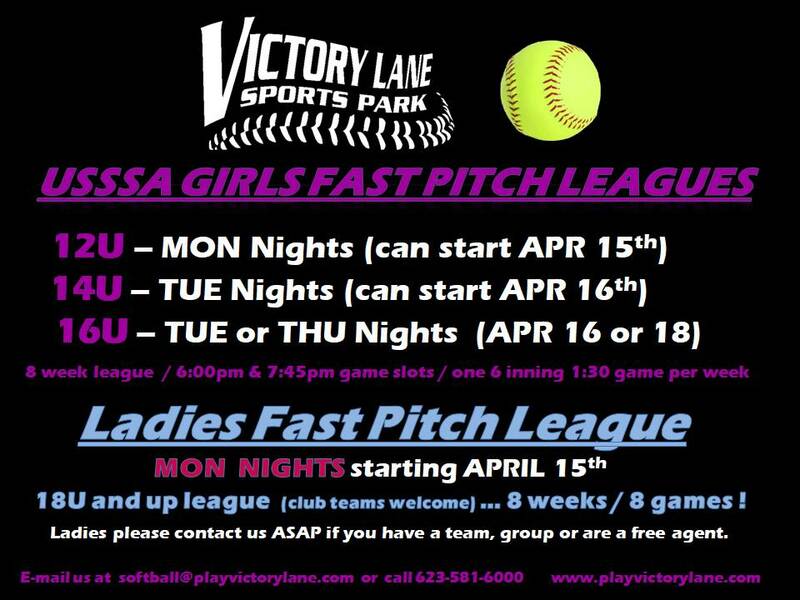 Contact us at 623 581-6000 or by email for details. 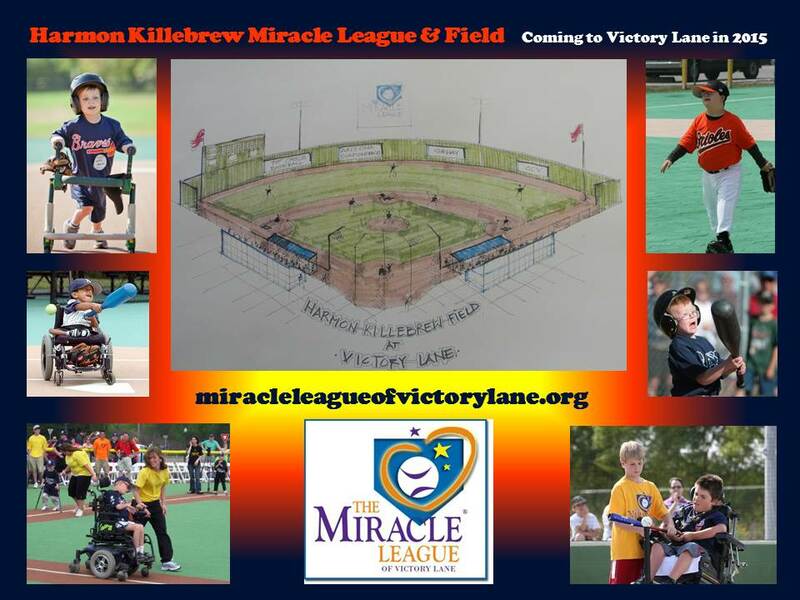 Click here to Register as an individual without a team or email for details. 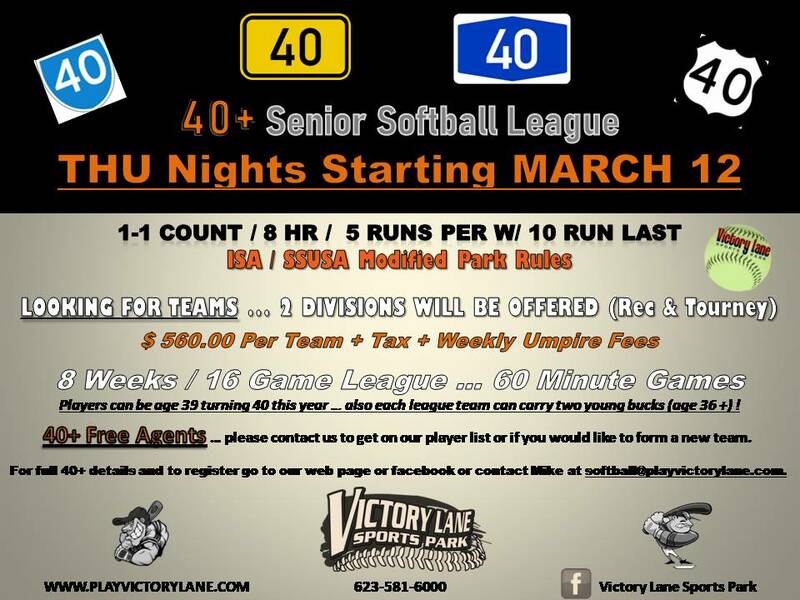 Contact Mike at 623 581-6000 or by email for details. 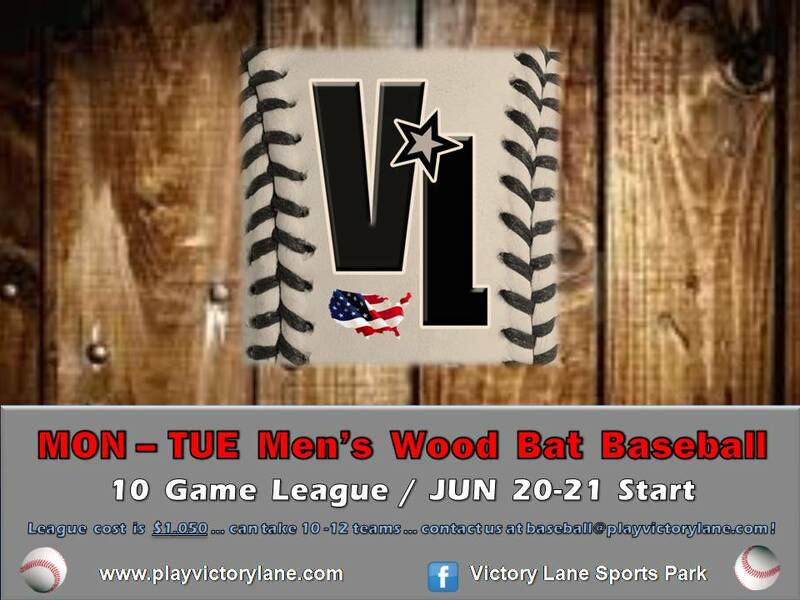 Find A Sport: Visit the Events Calendar to find upcoming leagues and events. Saturday Morning: Volleyball: Saturday morning draw at 10am coming in the winter. Youth Beach Volleyball: Youth beach volleyball Coming in May Click for details. 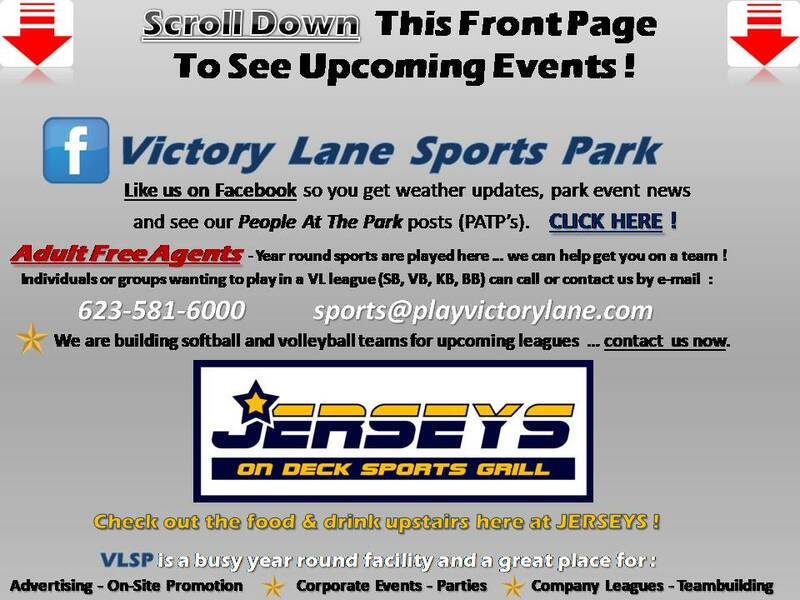 Mailing List: Don't miss out on upcoming events and specials at Victory Lane. *Coed 4's teams, or individual free agents! To register, FAX (623-581-6676) or drop off a completed registration. CLICK HERE for blank registration form. Please contact us at 623-581-6000 or email for details.